Parents/care-givers: did you wear acid wash denim, ra-ra skirts or legwarmers back in the day? Remember songs like ‘Oh Mickey’, ‘Jessie’s Girl’ or ‘The Final Countdown’? Then this show is for you (and your kids!). 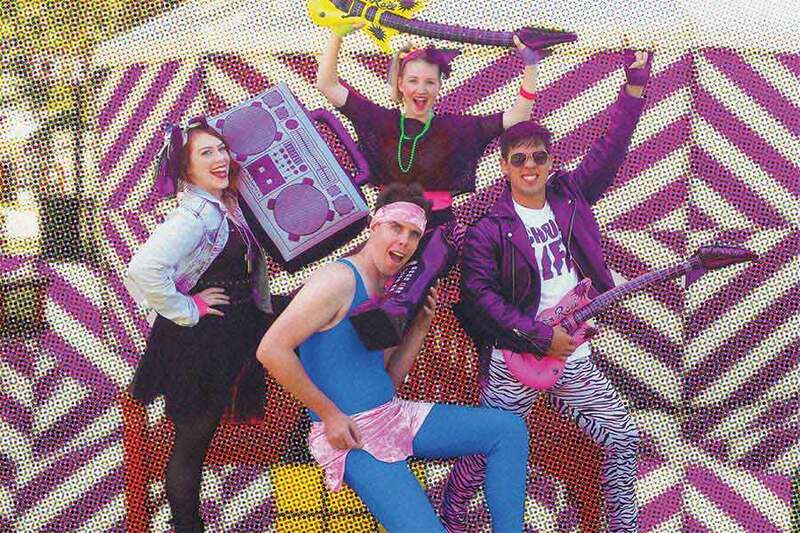 In this fun musical for children and adults alike, you can re-live the 80s fashion and awesome 80s songs you loved. The Dress Up Box takes you on a high energy musical theatre adventure with loads of music, singing, a fun storyline, amazing dancing and hilarious comedy. It will be the best fun you’ve had since the 80s! Little Mess will help you make a fab super hero dress up cape.